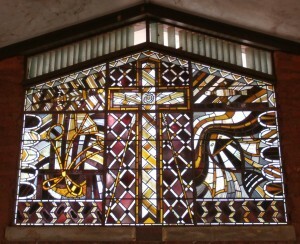 Heritage Stained Glass window in Milingmbi Church, the venue of the 3rd Yolngu Nations Assembly, 2013. 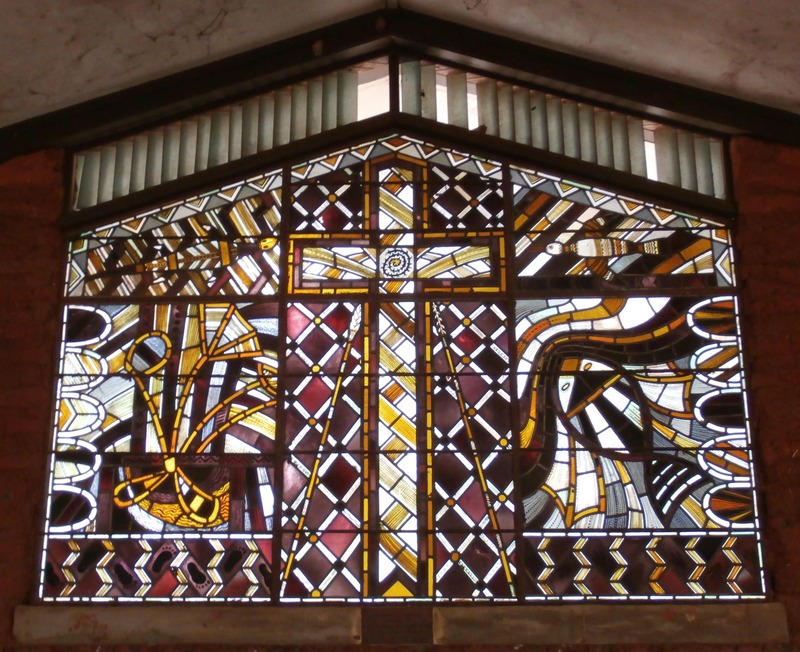 This past weekend the Yolngu Nations Assembly (YNA) held their third assembly at Milingimbi (15-17th of November 2013). The YNA’s inaugural assembly took place in Galiwin’ku in 2011, and last year (2012) the gathering took place in Maningrida. For two years now YNA has been building its grassroots support across Arnhem Land as it seeks to bridge the divide between Yolngu tribal governance and the Australian system of governance. To further YNA’s growth, constitutional development is now taking place and this meeting passed an interim and trial version to take the organisation through the coming year. Amongst the political issues discussed this year the threat of 99 year leases over Arnhem Land towns became central. It was unanimously accepted that YNA will speak out against Australian government takeovers of Yolngu lands and will resist further incursions of Australian government control over Yolngu peoples. YNA also seeks to protect the rights of its people to fair and diplomatic negotiations, particularly in the case of multi-generational leases. Attached is an earlier statement concerning 99 years leases by the YNA spokesperson Rev. Dr. Djiniyini Gondarra. Government behaviour thus far is consistent with that of its many predecessors in trampling over the rights of Aboriginal people and treating them as second class citizens. It also flies in the face of consultation recommendations of the Australian Human Rights Commission aimed at consensus decision-making, which two Parliamentary Committees have endorsed, including one of which Senator Scullion was a member. It is also inconsistent with the UN Declaration of the Rights of Indigenous Peoples to which Australia has endorsed. I agree Dr Gondarra. We are seeing a similar land grab by stealth in Cape York. Home ownership/freehold is being promoted as a cure all but in reality when you have 65%-80% unemployed how can these people afford to pay a home off. They will end up foreclosing on the loan and lose their home AND LAND to the state. Result: More Mines! Your message needs to be sent all over the country to warn the people’s of this impending theft.